Over the past couple months I have discovered the wonders of the humble zucchini. I must say that it was a very under-used vegetable in my cooking repertoire. Not so any more! With a zucchini-heavy presence at the farmers market lately, I have made zucchini pancakes, zucchini fritters, zucchini muffins, chocolate zucchini bread and now zucchini Kuku! For those of you who are not familiar with Kuku, it is the Persian answer to Italian Frittata and the French Omelette. One big difference is that the egg is the star of omelettes and frittatas, but in Kuku the egg is more of a binder to the lovely filling. There are many different types of Kuku and probably the most famous is Kuku Sabzi – a fried herb and egg mixture – which is an essential part of the Persian New Year feast. 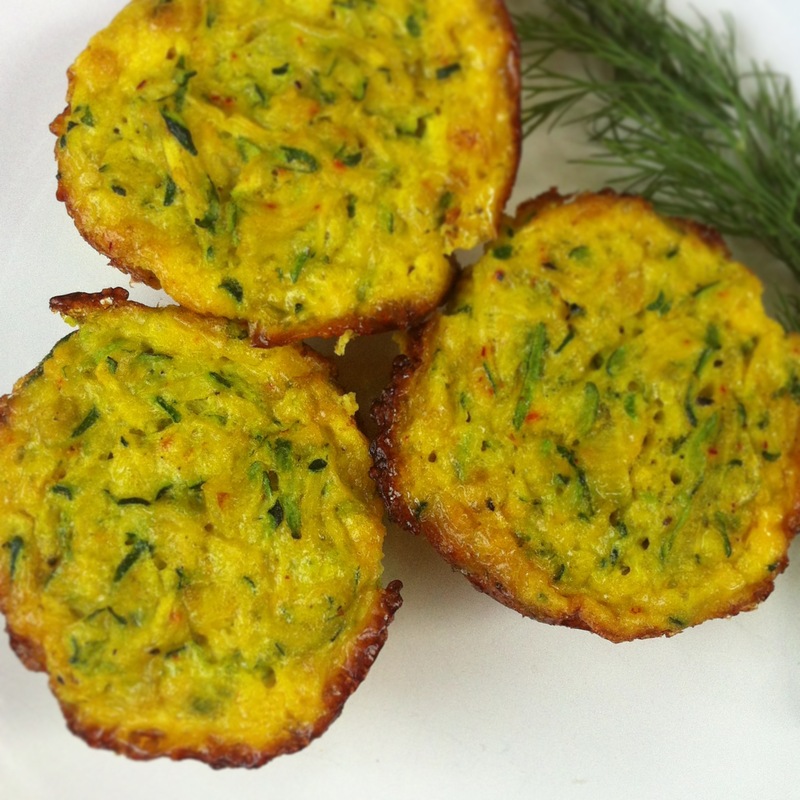 Delicious and very easy to prepare, Kuku Kadoo is a savoury combination of sweet caramelized onions, garlic, grated zucchini, eggs and fragrant dill and spices. Kuku’s can be fried in a pan or can be baked in the oven. 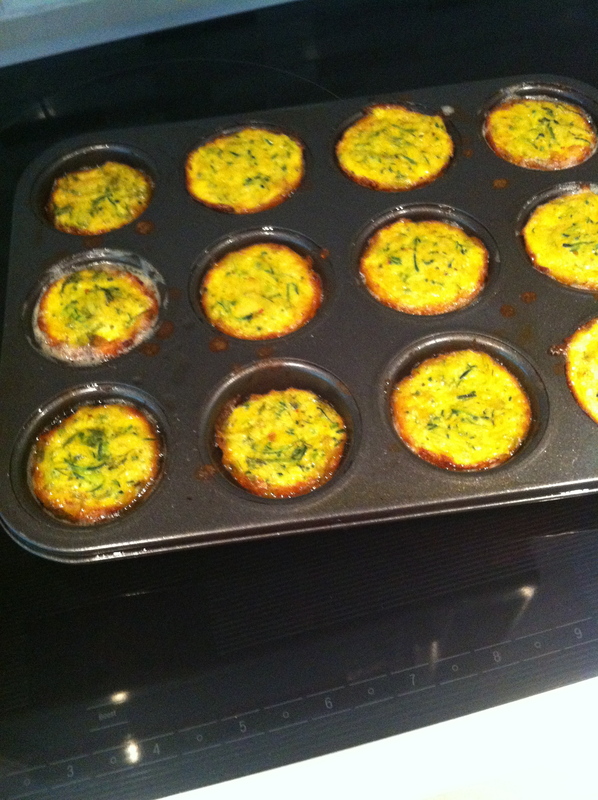 In this recipe I have baked them in muffin tins……who doesn’t love cute individual portions? I love these mini-kukus especially for kids and with school just around the corner, they make the perfect lunch box addition. 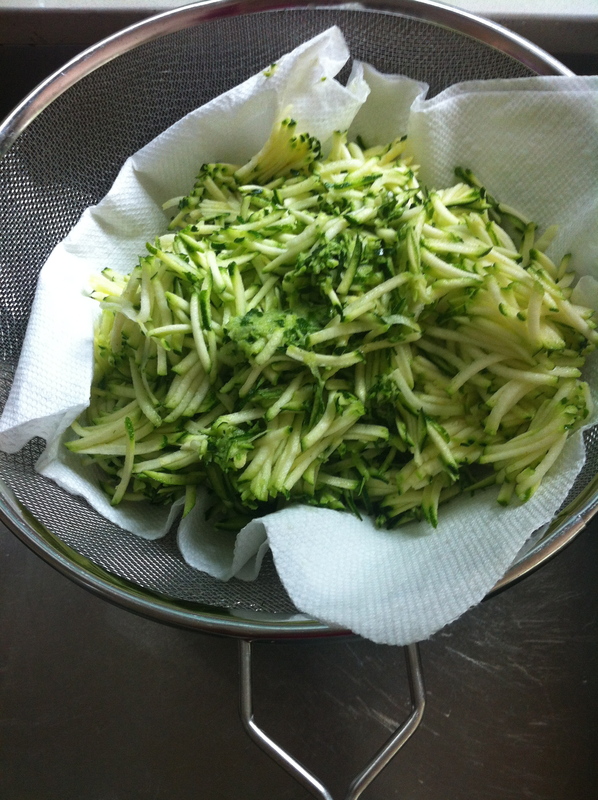 Put the grated zucchini (you may grate with a box grater or in a food processor) in a colander over the sink. Sprinkle with one teaspoon of salt and let sit for 10 minutes. Then squeeze out as much liquid as you can from the zucchini. 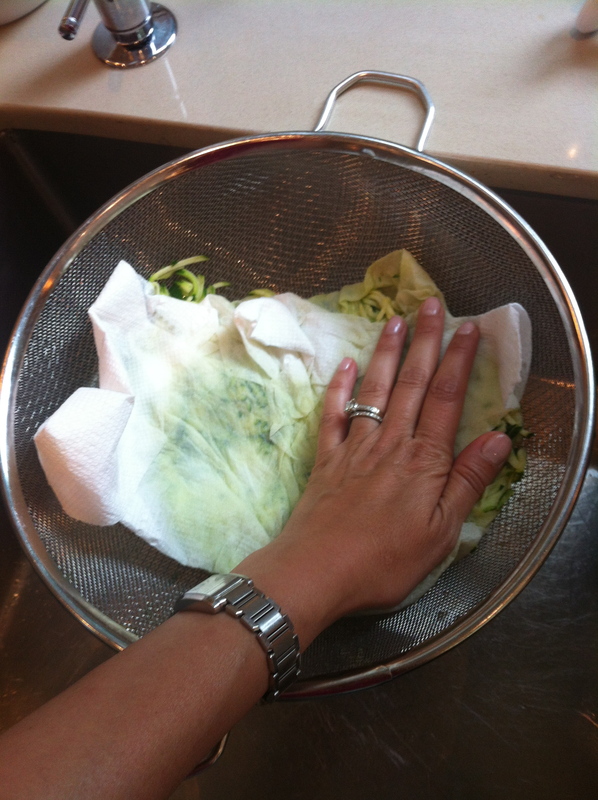 You can use your hands or cover with paper towel and press down so the liquid is drained through the colander. In a large frying pan, heat two tablespoons of canola oil over medium-high heat. Cook for 5 minutes, stirring frequently. Add the garlic and cook for another 3-5 minutes until slightly golden. Add the turmeric and cook for another minute. 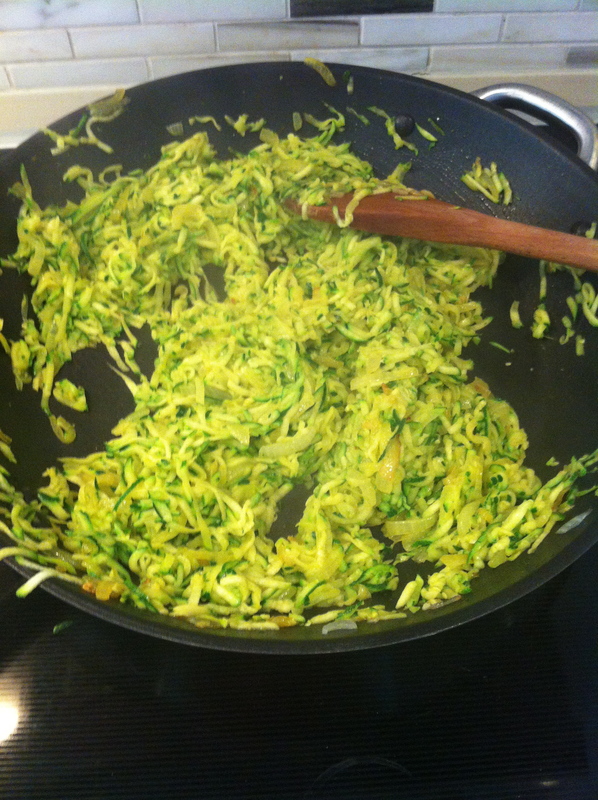 Add the zucchini and cook for 5 minutes. Turn off the heat and let cool slightly for about 10 minutes. 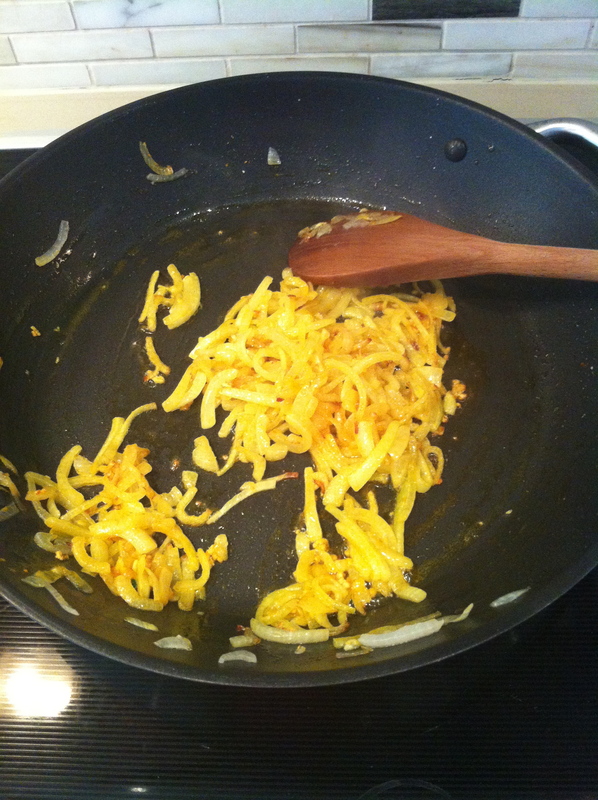 In a bowl beat the eggs with saffron water, 1/2 tsp of salt and 1/2 tsp of pepper. Slowly add the flour and baking powder, beating very well. 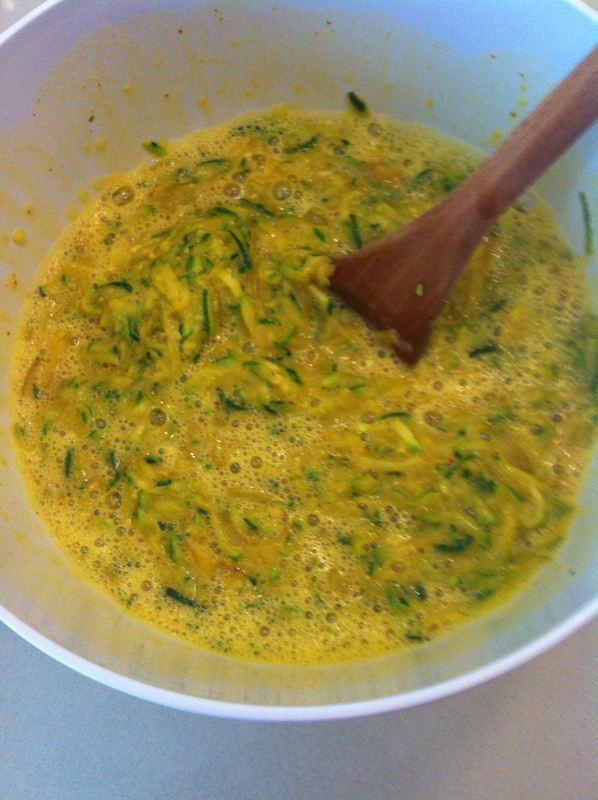 Add the zucchini/onion mixture and (the dill if you are using it) to the eggs. Put one teaspoon of canola oil in each muffin tin (the muffin tin needs to be non-stick, if it is not I suggest using muffin liners). Swirl around to coat. 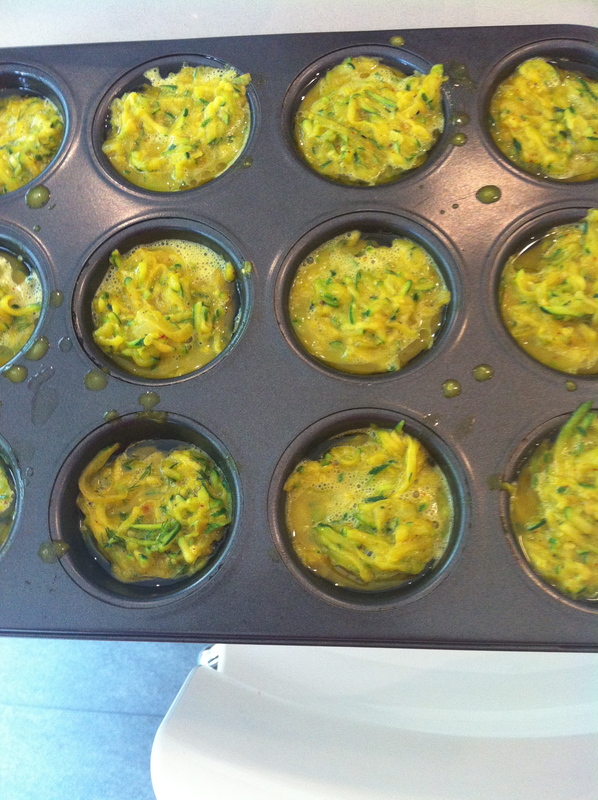 Fill the muffin tin 3/4 full with the mixture. Bake for 30 minutes or until the eggs are set. Let cool slightly and gently remove from the tins using a spatula.